New album by Austrian band Serenity. 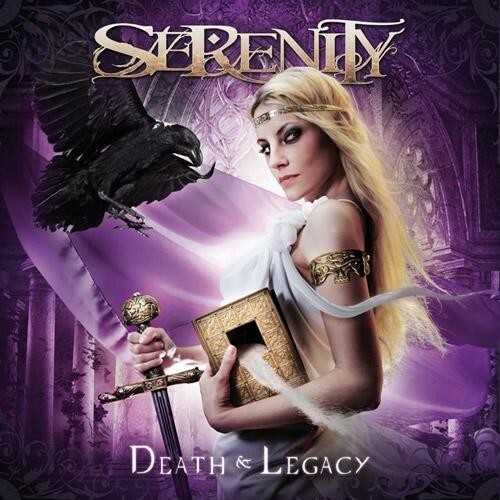 Serenity was formed back in 2001 hailing from Austria. Despite some early line up changes a settled band consisting of Georg Neuhauser (vocals), Thomas Buchberger (guitar), Mario Hirzinger (keys), Simon Holzknecht (bass) and Andreas Schipflinger (drums) was settled upon. The band toured extensively in their early days including a landmark gig opening for the late great Ronnie James Dio in 2004. After an early demo in 2005, the first album 'Words Untold & Dreams Unlived' saw the light in 2007 and received extensive critical acclaim. Following more extensive touring with the likes of Kamelot, the band set about a second album. 'Fallen Sanctuary' was released in 2009 and yet more promotion and touring followed with the likes of Edenbridge and Threshold. Finally in 2010 the band locked themselves away and began recording their crucial third album. Jan Vacik, (mixing), and Oliver Phillips, (orchestral arrangements), were once again on board. But there was to be one last line up change, during recording bassist Simon Holzknecht left due to personal reasons. Fabio D'Amore was bought on board and work on the album continued. 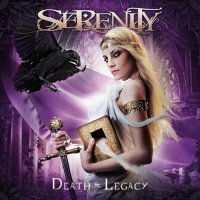 In 2011, Death & Legacy was completed and released on Napalm Records. From the opening intro of the album the listener is made aware this is an epic album and journey they are about to embark upon. The intro consists of sweeping winds and crashing waves and set the scene very well for the overall theme of history and its major players. This is symphonic metal in its literal sense with its bombastic power chords intertwined with grandeur and soaring compositions. From the brake neck speed of the drums and bass in "New Horizons" to bone crunching riffs and chords of 'When Canvas Start To Burn', the metal keeps thundering along. This is completed by majestic and beautiful orchestral arrangements to give it that full symphonic effect. The record is nicely broken up by three other musical interludes which are split evenly through the album. Serenity is also able to explore new compositions and style with the addition of three female guest singers. Sirenia's Ailyn appears on the beautifully crafted "The Chevalier" and Amanda Sommerville duets nicely with Neuhauser on the only real ballad on the album 'Changing Fate'. The last collaboration includes Charlotte Wessels adding her vocals to possibly the best track on the album 'Serenade Of Flames'. The band offers the listener both straight up symphonic metal as well as exploring other types of musical influence, even including some from the Far East. No two tracks are the same and this release offers a variety of pace, power and range. There are those that are referring to this as a concept album. In a literal sense it is, but to most a concept album is a group of songs telling one story. It's often difficult to remove one song and have it stand on its own, especially lyrically. Few bands managed to make this work; Ten's 'Babylon' being one such successful example. But this is a group of songs each telling a story. So it would be kinder to refer to this as a theme album more in line with the likes of Iron Maiden differently themed releases. Describing this as a concept album could end up giving the wrong impression and putting people off. This will not be the best album of the year; it is unlikely to be the best symphonic metal album of the year given some of the acts with releases out in 2011. However this is still a monster of an album. The songs are well written and tell their stories of Columbus, Drake and Elizabeth I with well written and worded tracks. The production is crisp and exceptional clear given how much is going on in most of the songs. Nothing ever seems lost or over taken, without design or need anyhow. The decision to add some female vocals to the tracks is inspired and adds a whole new spectrum for Serenity to explore. Wessels seems particularly suited to the Serenity sound. Fans of power metal, symphonic, goth and all associated genres will lap this album up. Most fans of rock of all scales should find this an album that will resonate well with them. Regretfully too many people with be put off by the symphonic metal tag, even non rock fans would be able to appreciate the different things on offer on the release. Whilst this album may not push Serenity to the top of the pile, it without doubt raises them another level or two. Many fans seemed to muse why the band haven't garnered a bigger fan base. This might be the record to achieve that. Whilst it is called Death & Legacy, it could very easily have been titled Power & Beauty which would have been very apt. Those that have bought tickets to see Delain on tour in April now have the double treat of a second very up and coming band on the bill in Serenity as they have been signed on tour.